Tammy enlisted in the Royal Australian Air Force (RAAF) in 1990 and became an Aircraft Maintenance Engineer. She maintained a wide variety of aircraft from Winjeels, then Hercules and finally Caribous Aircraft. One of the very few females in a male dominated environment was challenging and Tammy found she constantly had to prove herself. Among many challenges, she completed training runs in Iroquoi Helicopters whilst under attack from Hawk Aircraft, and carried out a 4 week Survival Course with Navy Clearance Divers. 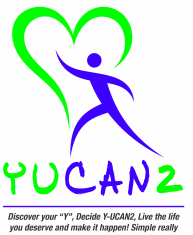 In September, 2008, Tammy conquered one of the world’s most arduous physical challenges. 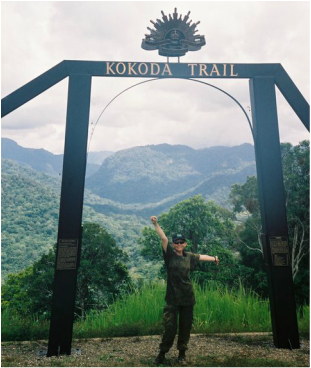 She completed the Kokoda Trail with 144 elite SAS soldiers. She was the only female invited on the trek – a thank you for her dedication to always keeping her Aircraft in peak mechanical condition. During the 8-day journey, Tammy found a level of strength and determination she never knew she had. She now knows if you have a dream and defined goals, faith and determination, you can achieve almost anything in your life. She lives by her motto, “Never say never”. During her RAAF career she was presented with the Active and Long Service Medals and Personal Qualities and Commanding Officer’s Awards. In October, 2007, Tammy’s 16 month old son almost drowned. Due to the RAAF’s mandatory CPR Training she was able to save Carson’s life. After almost losing her son this experience had a profound effect on Tammy. She knew life would never be the same again. Tammy uses the passion & experience gained from her personal experience with Carson’s near-drowning and the skills learnt in the RAAF for others to relate, to educate,empower & deliver Training to her clients. Tammy also utilises accelerated learning techniques to enable clients to retain the information more effectively and thus better protect their loved ones. Tammy has recently created a survival pack, designed to be used in the event of a natural disaster. The Survival Oz pack, is designed to have enough supplies to last for five days in a natural disaster.